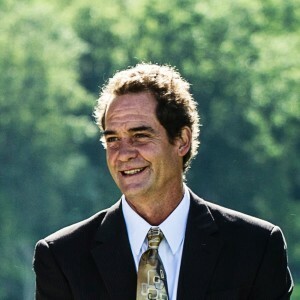 Allen S. Thomforde, 53, passed away from cancer Sunday, April 14, 2019 at his home in West Marlborough Township. He was a graduate of Unionville High School and Penn State University. Allen was the son of Elinor Thomforde and the late Harold Thomforde. He will be greatly missed by his wife of 25 years, Kelly (Essick) and their children; Amanda and Allen Kent and their daughter, Nora of Gainesville, FL; Abigail and Tim Necarsulmer of Enid, OK; and Levi Thomforde and his fiancée, Madelyn of Unionville, PA.
A Memorial Service in the manner of Friends will be held at London Grove Friends Meeting on Friday, April 19, 2019 at 5:00PM. In lieu of flowers, donations may be made to London Grove Friends Kindergarten, 500 West Street Road, Kennett Square, PA 19348. My sincere condolences on the passing of Alan. He was a very caring person and always willing to help out anyone in anyway that he could. May the many memories you have help you get through this very difficult time. May he rest in peace. We are so heartbroken to hear of your loss. We loved living at The Stone Barn. Allen was always so helpful and kind. We will always cherish our time there. My heart is broken by the news of Al’s passing. I send you all my love & prayers for healing and I wish for all your memories to be of smiles, warmth, and laughter. Sorry to hear of Allen’s passing. I road dirt bikes with Allen a little and would talk to him on occasion. I remember him rolling up one time a few years ago, in a pick-up truck, with the biggest dog I’ve ever seen….a Saint Bernard…..as big as a bear ! We were in awe ! Allen was a good dude ! Condolences to his family.